We were excited to get the first news of Radikal's new Delta CEP-A, which we posted about a week before NAMM. (That's pronounced "sepp-A" by the way.) Since everything Radial has made from the Spectralis to the Accelerator to their Eurorack modules sounds absolutely monster, we were even more excited to see it in action. It did not disappoint. Long story short: It's a full synthesizer voice, from the "swarm" oscillator to the effects. It can fit in a Eurorack or be a stand-alone desktop module. It has MIDI-to-CV built in on DIN and TRS connectors. It's highly patchable, but you don't have to insert a single patch cable to start creating sounds. Plus. it has a paraphonic chord mode. For the Eurorack curious-but-cowardly, this (maybe fitted into an Arturia RackBrute) could be a great point of entry, because you can get great sounds immediately and it invites rather than requires you to get into patching. Plus, with the MIDI-to-CV, you already have the gateway from your black-and-white keyboard, sequencer, or DAW world into the modular world. Heck, you can get the standalone version if you're not sure you want to buy a rack yet and whatever happens you've still got a killer synth at the end of the day. I just love this little box. 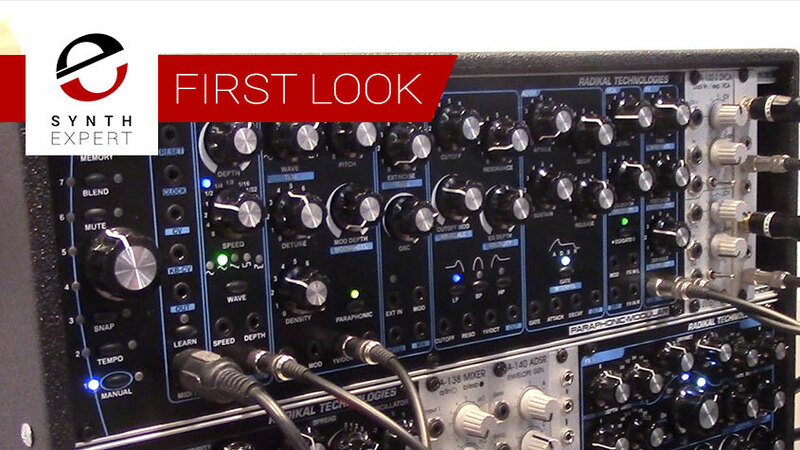 NAMM may be done but we're not, so stay tuned for more new synth news!